/INS.Fast and cost effective cleaning. Saving time and water are some of the KPIs which have the most attention in the hygienic industries. The new Alfa Laval TJ40G rotary tank cleaning machine uses a high-impact jet stream to effectively clean tough tank residues and minimize the risk of product contamination. This four-nozzle rotary jet head also cleans tanks 60% faster than static spray ball technology, which increases production uptime. And because it cleans faster, this new device uses less water and less cleaning agents thereby reducing operating costs by up to 70%. The Alfa Laval TJ40G is capable of handling tough tank residues as well as solids up to 1mm in the cleaning fluid in tank sizes 50-1000 m³. This is particularly important for demanding process lines, such as applications within the brewhouse, where both the size and the amount of particles may be re-circulated in cleaning media before completing the cleaning cycle. Not only does the Alfa Laval TJ40G rotary tank cleaning machine provide spotless cleaning of the tank interior, it also cleans itself – inside and out. Its hygienic self-cleaning construction ensures that the flow of the cleaning fluid reaches the exterior surfaces of the rotary jet head, as well as the critical interior components such as all bushings, bearings and inner surfaces. This minimizes the risk of product contamination and ensures a high product quality. Alfa Laval's rotary tank cleaning machines are designed with numerous of features to ensure self-cleaning of the machine, such as directional flow from small jets in the hub that cleans the exterior of the machine. A low pressure loss over the machine provides increased cleaning efficiency compared with other tank cleaning machine running at same inlet pressure. This result in lower cleaning cost as the unit can run at lower pressure/flow compared to other tank cleaning machines. 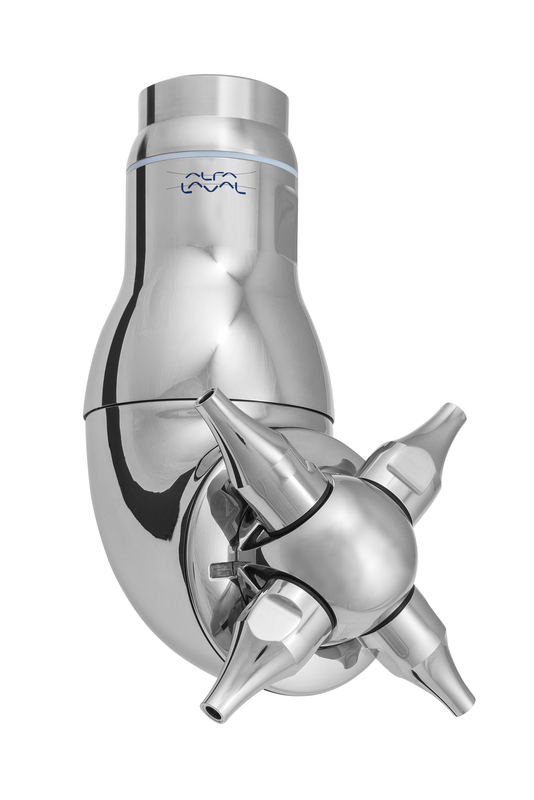 All Alfa Laval rotary tank cleaning devices comply with Good Manufacturing Practice (GMP). Alfa Laval is listed on Nasdaq OMX, and, in 2015, posted annual sales of about SEK 39.7 billion (approx. 4.25 billion Euros). The company has about 17 500 employees.